After some research the shirt actually had nothing to do with Freddie Mercury at all. 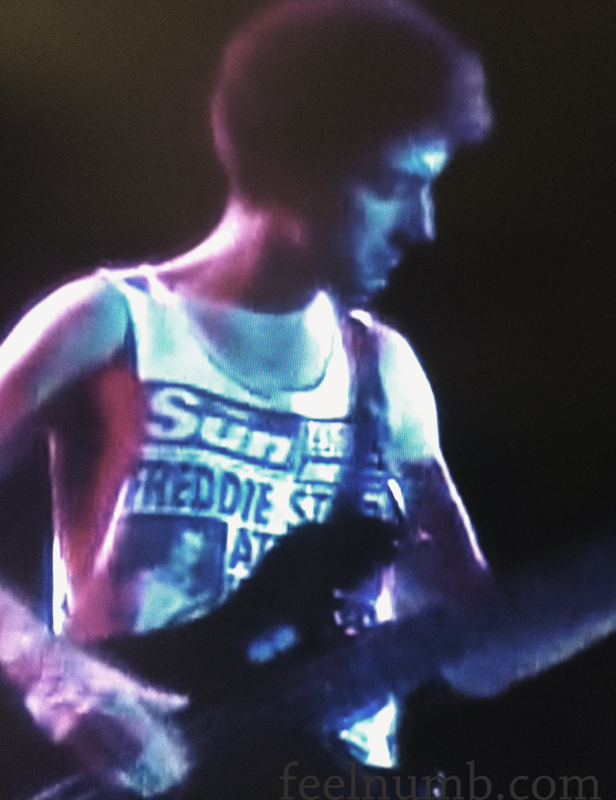 It is a shirt made from the March 13, 1986 edition of the British tabloid The Sun with the headline FREDDIE STARR ATE MY HAMSTER. 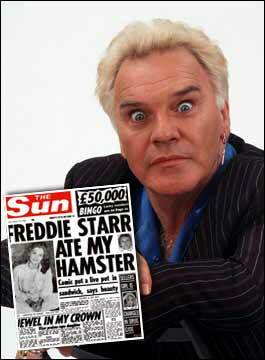 Freddie Starr is an English comedian who became famous in the 1970’s. 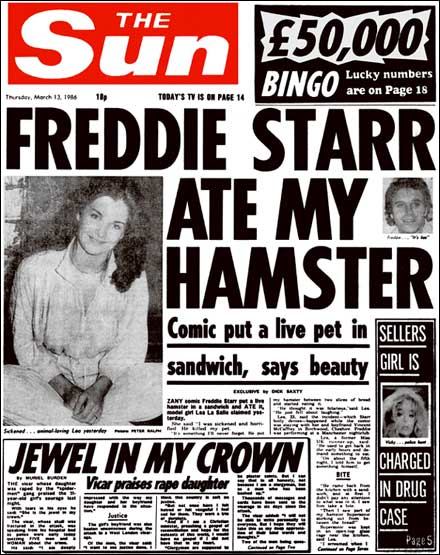 FREDDIE STAR ATE MY HAMSTER became one of the most famous British tabloid newspaper headlines of all time and brought Starr much needed attention at the time as his popularity had dwindled. The weird story was invented by his publicist at the time Max Clifford. As the story goes, Starr had been staying at the home of Vince McCaffrey (who was co-writing Starr’s biography at the time), and his 23-year-old girlfriend Lea La Salle. Starr was alleged to have returned home from a performance at a nightclub in the small hours of the morning and demanded that La Salle make him a sandwich. When she refused, he went into the kitchen and put her pet hamster, ‘Supersonic’, between two slices of bread and proceeded to eat it.